Osource delivers an entire spectrum of business process management services such as finance & accounting, human resource operations, research & analytics, technology solutions and industry-specific back-office processes. We are an employee centric organization in entirety. It is our objective to treat employees as our most valued assets and provide them all possible enablers for their growth. We provide plethora career opportunities within the organization that results in overall growth and development for our employees, thus creating the best brand ambassadors possible. Join us and be part of our exponential growth story..!! Our values are rooted in the belief that overall development of an employee is a result of the right mix of inspiration, innovation, ambition & growth. This is supported by clearly chalked out career paths that we provide to our employees. We also encourage the right mix of fun at work to ensure that our employees are motivated and productivity remains at top notch. All our employees bring with themselves diverse perspectives, work experience, life style, and culture. Since we thrive on innovation, we realize the kind of potential it holds and the kind of power it can unleash. We respect and appreciate differences in ethnicity, gender, age, education, caste & religion. We recognize that each of our employees have unique strengths and we strive to harness these strengths to create a high performance – high reward work culture. It’s been quite a good experience working with Osource for past 9 years now.. Osource has given me a chance to transform my abilities and skills like no other employer had done before. If you are truly interested in investing in your future, Osource is the perfect place. The last 10 years of working in Osource have indeed been an enriching experience. In fact it has been much better than the first few organizations with whom I worked. In Osource, I have always been given the opportunity to learn and work on a wide range of projects and this would not have been possible in any other organization. 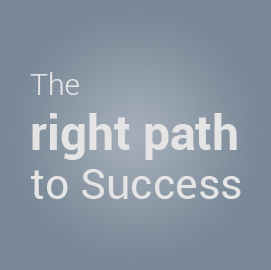 Osource is known for its focus and knows exactly what goals need to be achieved. I have always had opportunities and challenges beyond the current role and my career progression has been quite impressive. The management has been very supportive towards letting me learn and perform as per my capabilities. They have always trusted me and have given apt rooms wherein I could put my ideas into practice. It’s been quite a good experience working with Osource for past 7 years now. The company offers an open and flexible work place with great corporate values. The daily work pressure and challenges just seem to melt away with great mentors, colleagues and an excellent work culture, boosting every individual to give their best at all times. I feel good to be a part of such a wonderful organization and look forward to continued growth with Osource. I am very pleased with the quality that Osource offers as an organization. Here I work on project that not only excites me but also enriches my career growth. The considerate service of Osource allows me to focus on a project without any distraction. All the colleagues are very friendly and helpful; managers here are very cooperative and make things very flexible. Even though I have joined recently, there is still a very long way to go but I have very strong feeling that things will go very well here. I wish Osource a lot of success. Osource is a great place for young and creative minds to apply their skills and knowledge they possess and let their talent prosper in a positive way. It has been a very good experience because I have got several opportunities to improve my corporate skills, adjust with changing situations at work and give my best efforts in terms of productivity and efficiency. At Osource, I am always treated in a professional fashion and I am also thankful for the support I am given. I am very happy to be a part of this wonderful organization. “Do your best each time” is the lesson that I have learnt being with Osource India. It is a privilege that Osource gave me a golden chance to start my professional journey. The good part about it is that in spite of such employee friendly policies there is a sense of discipline and 100% commitment by everyone towards work. The management, our polices, our cultural activities, fun and the workplace are just awesome! Each day, I end up with a new learning. Thank you Osource India!